Mr. Rowley is a part of the portfolio valuation group specializing in valuations of complex investments, including residential mortgage investments, venture capital, privately-held debt securities, convertible preferred equity securities, equity securities, CLO securities, and business enterprises for tax and financial reporting purposes. Prior to joining Valuation Research, Mr. Rowley held the position of Senior Associate with PricewaterhouseCoopers LLP. At PricewaterhouseCoopers LLP, Mr. Rowley worked within the Financial Markets Practice delivering on structured products, transaction advisory services and portfolio valuation services. 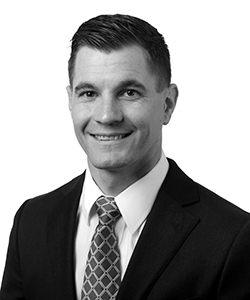 Mr. Rowley holds the designations of both chartered financial analyst (CFA) and Chartered Alternative Investment Analyst (CAIA). He received a bachelor of business administration in finance, economics and computer information systems from James Madison University.